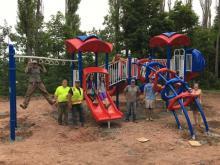 MI Attorney General visits Hancock. 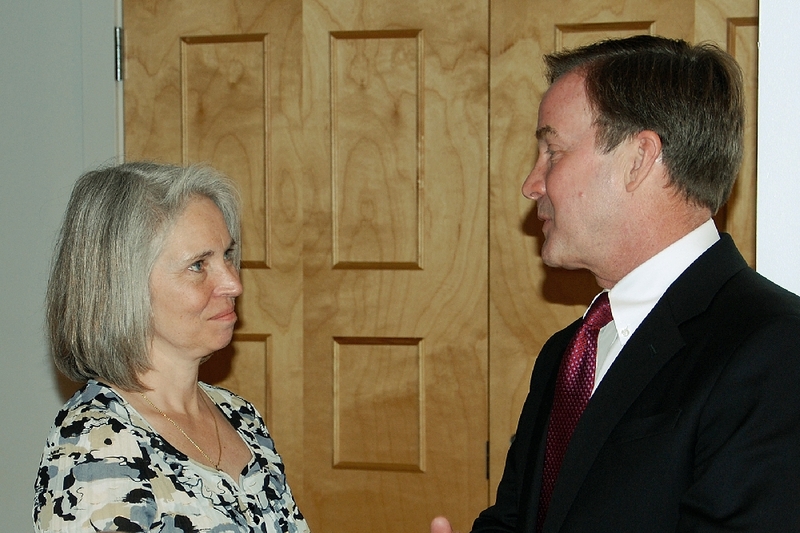 Michigan’s Attorney General, Bill Schuette, came to the Upper Peninsula following the Memorial Day Holiday weekend. 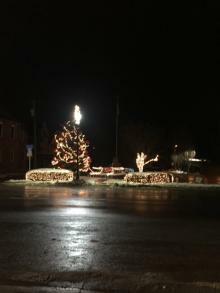 Including in his stops, was a luncheon visit to Hancock. 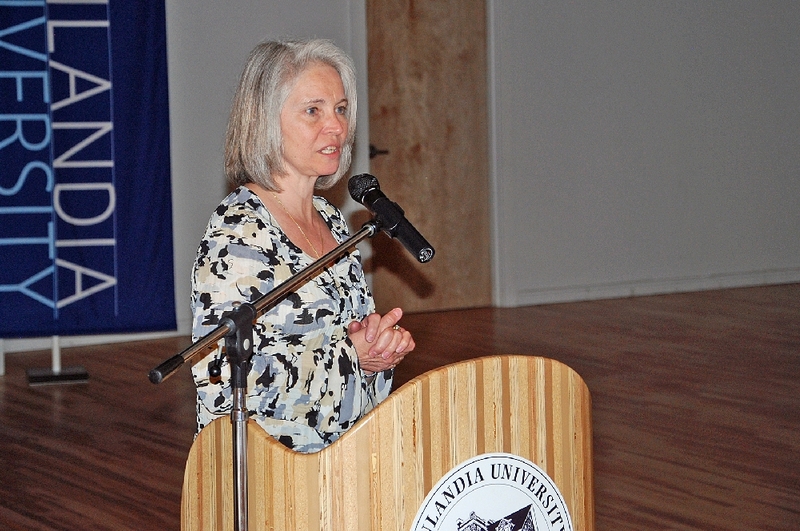 The get together was at the Finlandia University Finnish American Center. 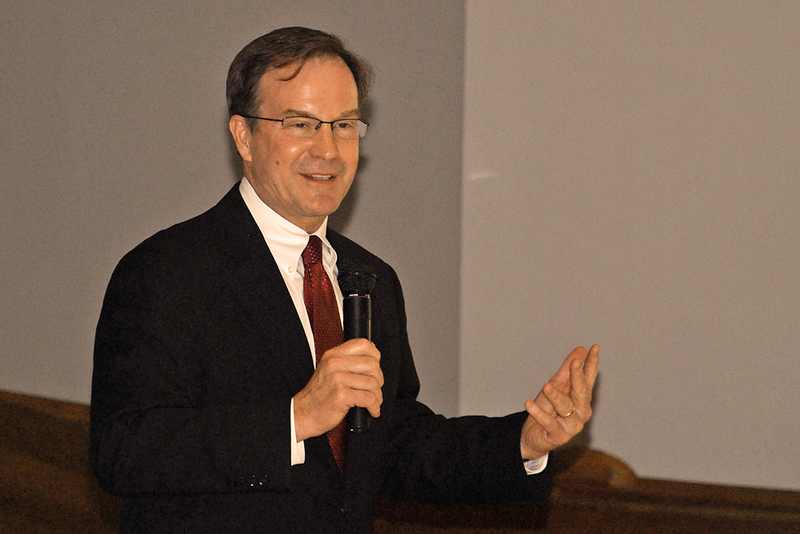 Mr. Schuette was escorted into the Center by Hancock’s City Manager, Glenn Anderson. 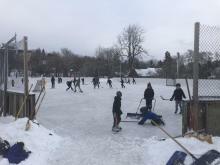 The lunch was provided courtesy of the Portage Health Foundation. Before heading to the podium for his remarks, he chatted briefly with some members of the audience, including Hancock Mayor Lisa McKenzie. 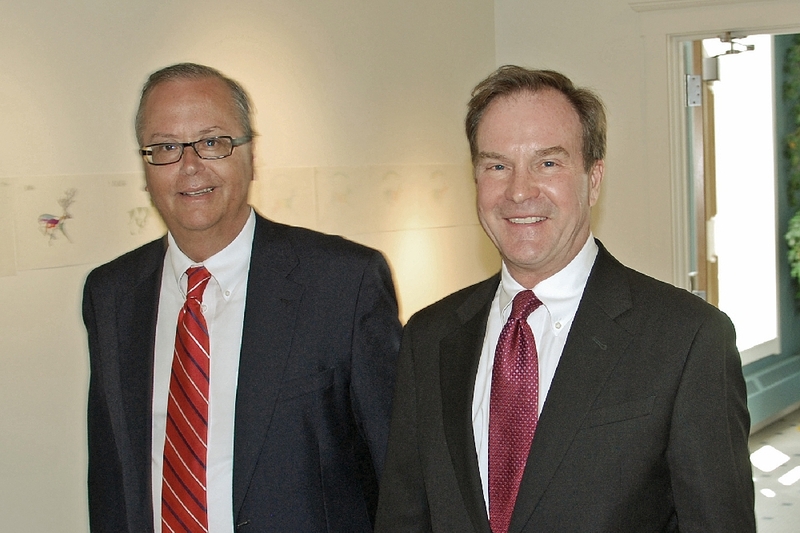 Michigan’s Attorney General, Bill Schuette. Mayor McKenzie opens up the program. 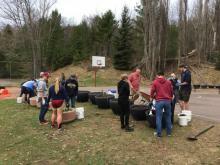 The luncheon was sponsored by Portage Health Foundation, Keweenaw Economic Development Alliance, the Keweenaw Chamber of Commerce, and the Hancock Rotary Club. 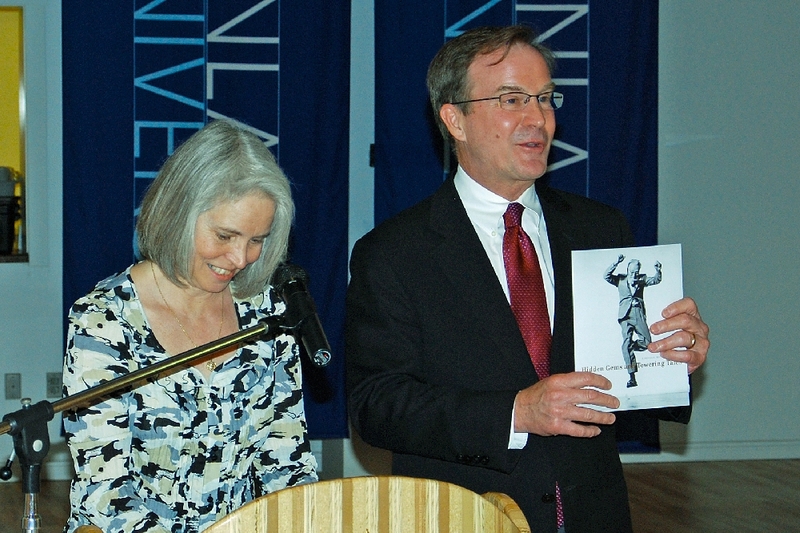 Bill Schuette receives a copy of our Sesquicentennial Book, “Hidden Gems and Towering Tales”. 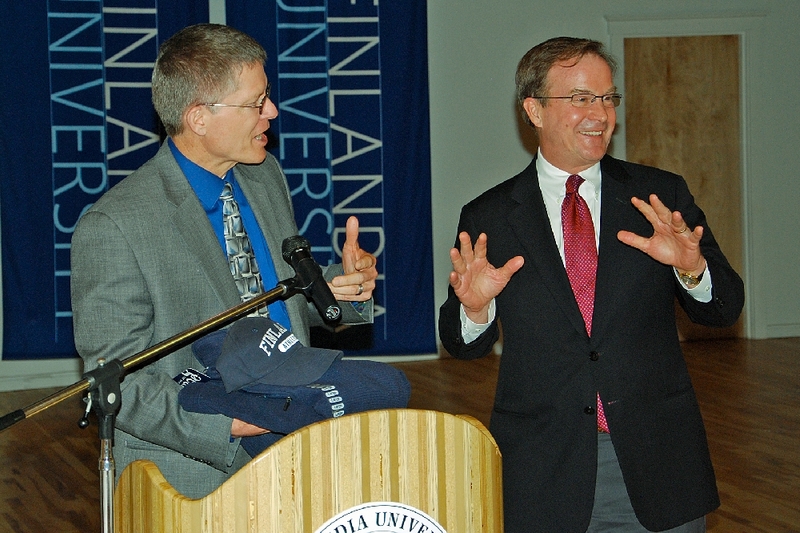 Next to take the Podium was Finlandia University’s President, Dr. Phillip Johnson, who shared a humorous moment with Bill Schuette. 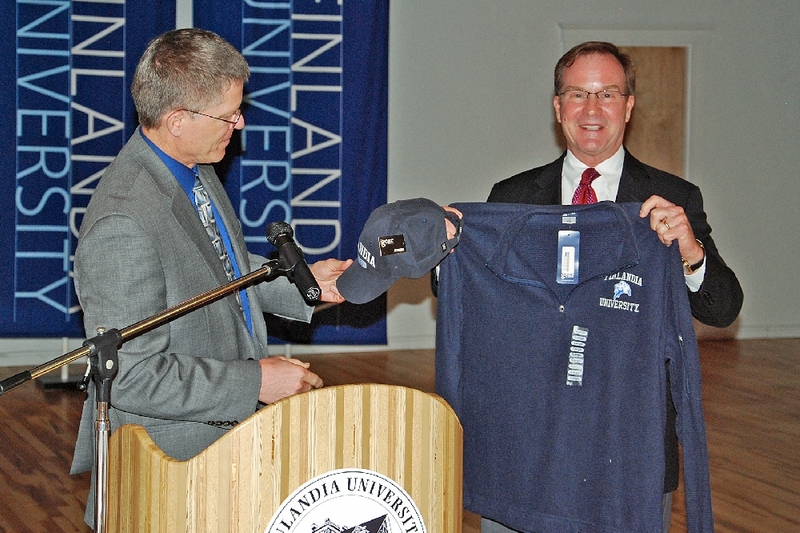 He would present the Attorney General with both a cap, and a sweatshirt, promoting Finlandia University. 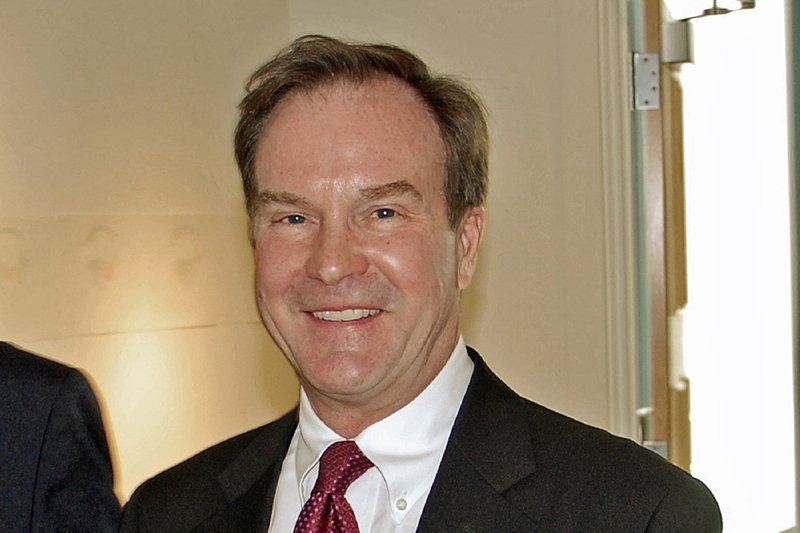 Mr. Schuette’s remarks concerned the role of the Attorney General’s office in protecting, interpreting, and executing the provisions of Michigan’s Constitution.